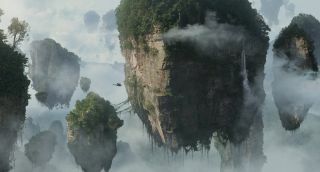 Still from 2009's "Avatar," the highest-grossing film of all time. "Avatar" is one of many films scored by composer James Horner. who died in a plane crash on June 22, 2015. Composer James Horner, who wrote the score for "Aliens," "Apollo 13," "Avatar," "Star Trek II: The Wrath of Khan" and many other high-profile films, died Monday (June 22) in a plane crash, according to media reports. A two-seat S312 Tucano plane registered to Horner went down Monday morning north of Santa Barbara, California. The composer, an experienced pilot, was at the controls at the time, according to the entertainment site Variety. Nobody else was onboard the plane, which was destroyed in the crash, Variety added. Horner, 61, was one of Hollywood's most prolific and celebrated composers. He scored about 100 films over the course of his long career, including "Titanic" (1997) and "Avatar" (2009), the two highest-grossing movies of all time. Horner won two Oscars for his work on "Titanic." Horner's resume also includes "48 Hrs" (1982), "Star Trek III: The Search for Spock" (1984), "Glory" (1989), "Braveheart" (1995), "A Beautiful Mind" (2001) and "The Amazing Spider-Man" (2012). "Brilliant Composer James Horner, friend & collaborator on 7 movies, has tragically died in a plane crash. My heart aches for his loved ones," director Ron Howard tweeted Monday. Howard worked with Horner on "Apollo 13" and "A Beautiful Mind," among other films. NASA is also mourning Horner's death.